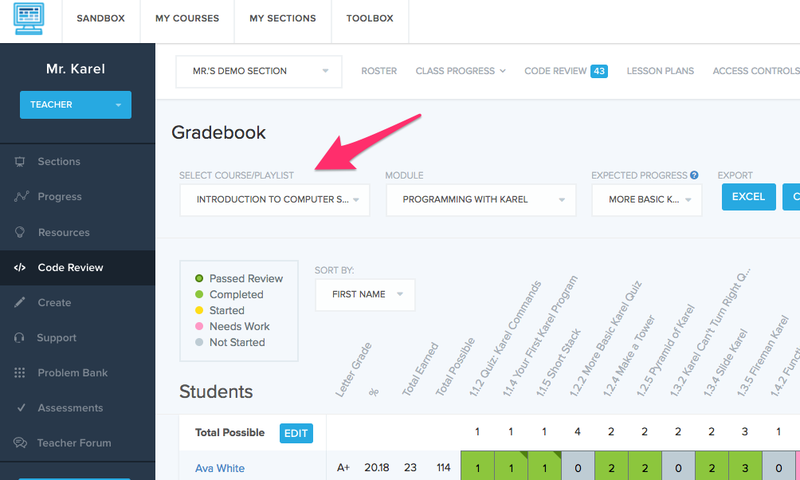 Can I use the Gradebook with playlists or custom courses? From that dropdown you'll be able to choose any playlist or custom course you've built in Create. Just a note that the Gradebook is Pro feature, so if you created a Playlist on free you won't be able to use the Gradebook with playlists.